Somewhere, up in black-and-white TV heaven, Rod Serling is puffing away on a Chesterfield and smiling. 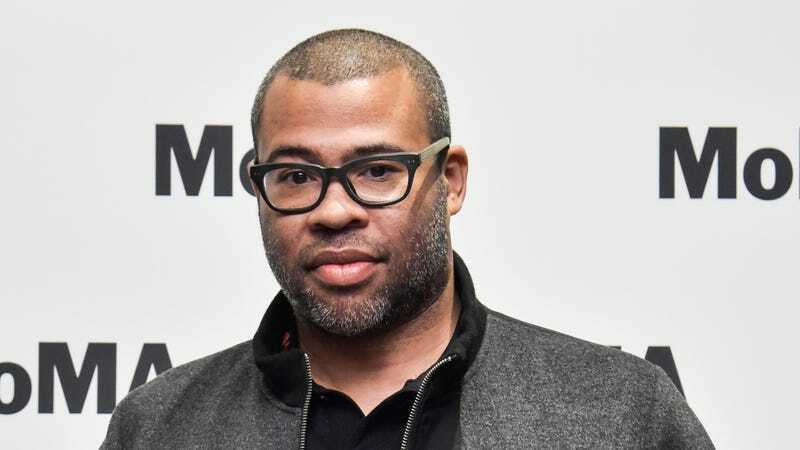 A reboot of his pioneering CBS sci-fi/horror series The Twilight Zone has been ordered to series at CBS All Access, Variety reports, with Get Out writer-director Jordan Peele among the core creative team. Peele will serve as executive producer on the show, alongside veteran X-Men screenwriter Simon Kinberg and The Defenders creator Marco Ramirez. The three will collaborate on the series premiere as well, and although it’s not clear exactly how that will break down just yet, The Hollywood Reporter thinks that Ramirez will write and serve as showrunner. “Too many times this year it’s felt we were living in a twilight zone, and I can’t think of a better moment to reintroduce it to modern audiences,” Peele says in a statement. Peele’s incisive debut feature—which has re-emerged on the awards circuit after making a critical and commercial splash earlier this year—is a worthy entry into the canon of politically-charged thrillers pioneered by Serling’s work on the original Twilight Zone. That series ran on CBS from 1959 to 1964, was revived in the ‘80s on CBS and in 2002 on UPN, and was nearly revived in 2012, when CBS teamed with Bryan “no call, no show” Singer to reboot the series. That didn’t work out, which was probably for the best. As for the new Twilight Zone team, Peele has a new, untitled “social thriller” set to debut in 2019, Kinberg directed X-Men: Dark Phoenix, which is due on November 8, 2018, and Ramirez—well, Ramirez doesn’t have any upcoming projects listed on his IMDb page, which seems to support THR’s theory that his role in the new Twilight Zone will be a little more hands on.